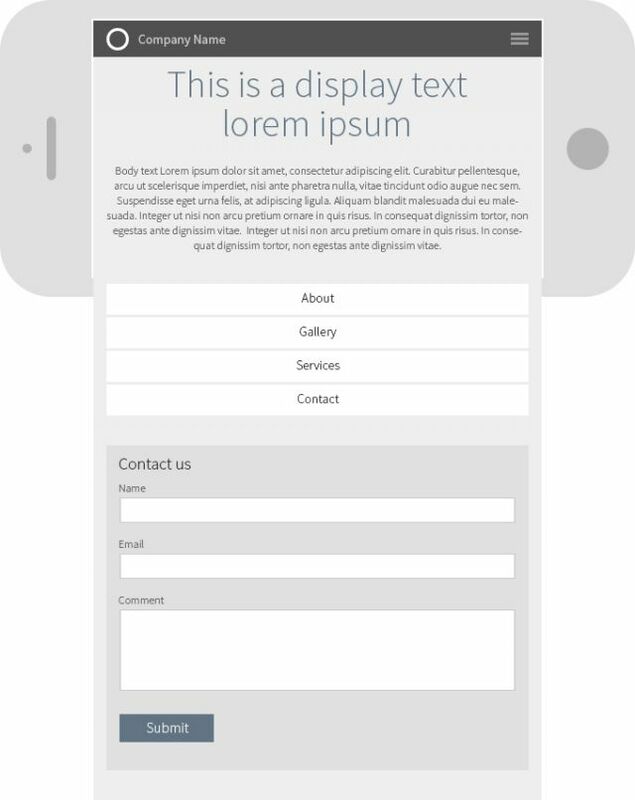 The homepage is the first impression your users will get of your website / company. It must therefore look nice and inviting, but also guide the user to the information that they need. 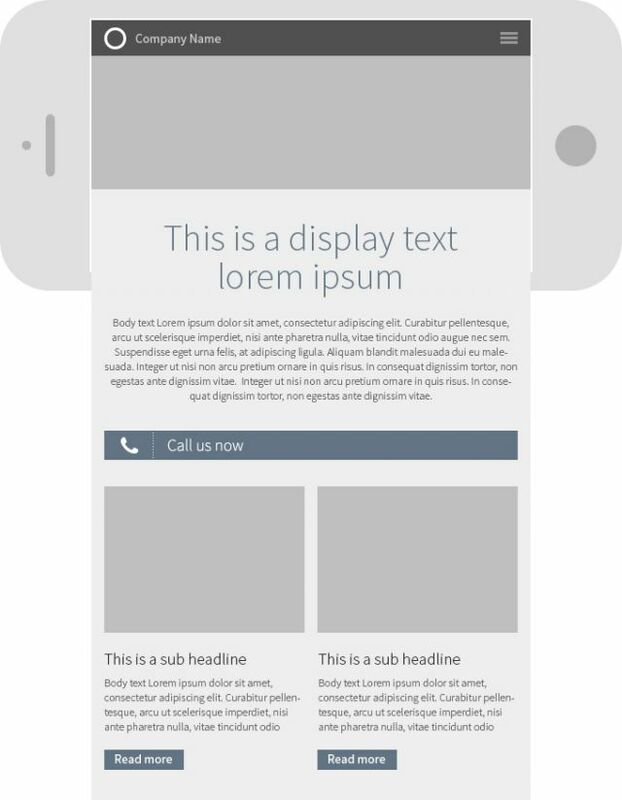 If you have an extensive mobile site, it can also be a good idea to make a clear link buttons or teasers to the various sections. 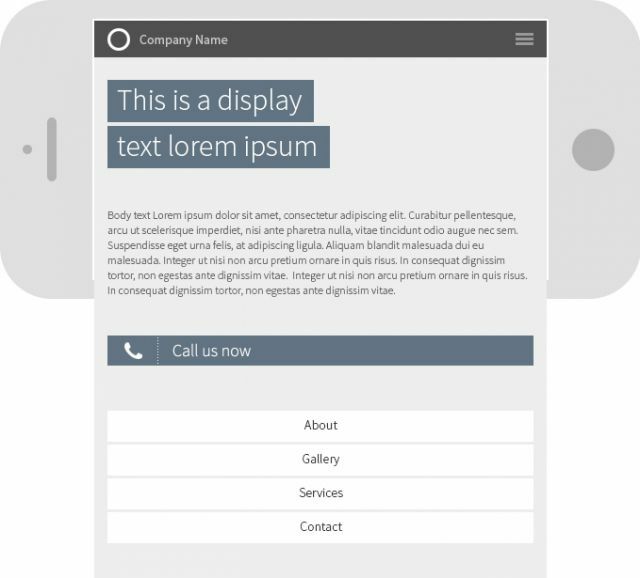 Above is an example of a very simple mobile homepage with a distinct title (display module) and a short introdution. Underneath is a tap-to-call button (note that 90% of users coming from a mobile search want to contact you by telephone) and clear links to other areas of the mobile website. This example above of a homepage is a little more visual. In the top is a full-width image. Underneath this is a large headline and an introduction. After this is a tap-to-call button and two teaser-links with images. This homepage example is built up with a short introduction at the top followed by links to three inner pages. The tap-to-call button here is replaced with a contact form (not everyone wishes to be contacted via telephoen so a contact form is sometimes preferrable).